This house will make a very nice family home and due to a separate space with independent . . . 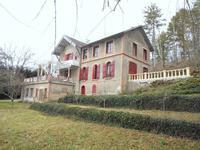 This lovely farmhouse with beautiful attics and barns offering huge space for expansion, is . . .
Villa situated in a magical garden close to town centre. Large entrance hall serving an . . . Comfortable and spacious village house in Burgundy wine country near Chablis. A ready to move into three story house at the center of popular wine village. The front door . . . Authentic renovated cottage with large stone barns and pretty garden. In a village close to river and station. Paris 80 minutes. Charming semi-detached house in a village situation within walking distance to river and a 5 . . .
With its dominant position on the D606 between Auxerre and Avallon, and only 15 minutes from . . .